Amanda R. Lawrence has successfully represented individuals and corporate clients in high-stakes class action and complex civil litigation throughout the country. As a Partner in the Washington, D.C., office of Buckley LLP, her work focuses on defending financial services industry clients in mortgage loan repurchase and indemnification claims related to residential mortgage-backed securities (RMBS) and consumer cases, both individual and class actions, arising under federal and state consumer protection statutes. 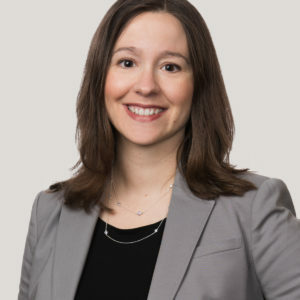 Her work includes cases involving unfair, deceptive, or abusive acts or practices, securities fraud, the Fair Housing Act, the Equal Credit Opportunity Act, the Civil Rights Act, and unfair and deceptive trade practices statutes. Ms. Lawrence also assists clients in matters before the Department of Justice, the Consumer Financial Protection Bureau (CFPB), the Securities and Exchange Commission, federal and state bank regulators, and state attorneys general. In addition, Ms. Lawrence counsels clients on risk management strategies and compliance with various federal and state laws and regulations affecting the financial services industry.